He may be just 27, but it's a sign of the seismic changes which have taken place in Kerry's ranks when Paul Murphy must scramble to name team-mates who are his elders. The returning Tommy Walsh and the likes of David Moran, Stephen O'Brien and Shane Enright are among a handful as Peter Keane's arrival coincided with a changing landscape in the Kingdom. Kieran Donaghy, Anthony Maher, Donnchadh Walsh and Darran O'Sullivan were some of the experienced soldiers to call time on their county duty in recent months and it leaves Murphy as one of the go-to men in an "unrecognisable" dressing-room. "At the start of the year, it was nearly unrecognisable from two or three years ago. New players have been brought in the last year or so but the turnover from maybe 2016/'17 to this year has been huge," Murphy reflects. "A lot of younger lads have come through who have had success at underage level but it's a challenge for them to bring it through to senior. "It's never straightforward for most lads. A good minor doesn't necessarily make a good senior so they're trying to make their way and trying to bed themselves into the team. "It's been a smooth enough transition (under Keane). I think a big thing is that everyone was back at the bottom step of the stairs. "They had everything to prove to the new management. They were coming in, they hadn't a team based on who started last year or anything like that. "You basically had everything to prove. Even that has driven lads on an extra 10 or 20pc. They're out to get their name in the team, or their name in the panel. I think the performances have benefited from that." With Keane overseeing three All-Ireland minor titles in a row (2016-'18), many of those underage stars have made a seamless transition to the senior ranks with six wins from seven helping to book their place in the Allianz Division 1 final. Reaching Sunday's league decider "wasn't a huge goal" at the season's outset but younger stars like Tom O'Sullivan, Diarmuid O'Connor and Dara Moynihan can now test themselves in the Croke Park environment at senior level, something former All-Star defender Murphy describes as "a different animal". Naturally, David Clifford takes most of the acclaim after an outstanding debut season but Murphy has been equally impressed with Seán O'Shea, particularly throughout the spring. "He's probably been our best performer throughout the league, he's been consistent and hopefully he keeps driving it on. I think he will. David probably got the plaudits but Seanie had an excellent year last year as well," Murphy says of O'Shea. Murphy, an All-Ireland winner with the Kingdom in 2014, has been anchoring a teak-tough Kerry rearguard this spring and the Rathmore defender lauds the influence of Donie Buckley and backs coach Tommy Griffin for helping to shore things up - they conceded just 4-80 this year as opposed to 10-98 last spring. 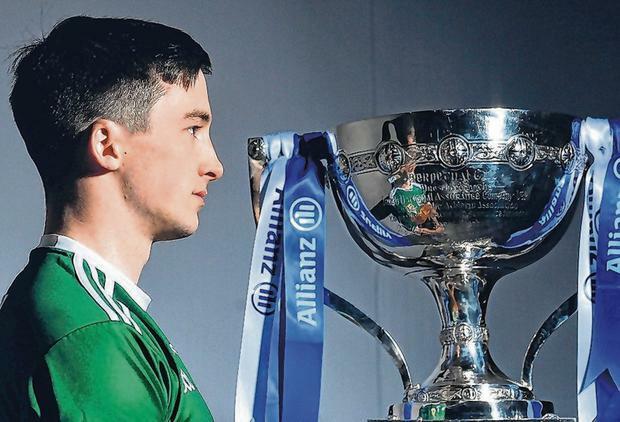 Their only defeat of 2019 came against Mayo while Sunday's rematch with James Horan's men also doubles up as their last game this year utilising the experimental rules, which Murphy feels will be given the green light for the 2020 championship. "I'd generally be in favour of the new rules. I think there can be benefits to the offensive mark, particularly to break down a defensive system. "The sin-bin is generally positive. It punishes the team more but it doesn't punish the player as much," he said. "The sideline rule is not making a huge difference but it's probably positive, it encourages a bit of forward play. The kick-out, I don't see a huge difference with the kick-out. "I couldn't see huge opposition to any of them in the way there was to the handpass (rule) and I wouldn't be surprised if they were all in."